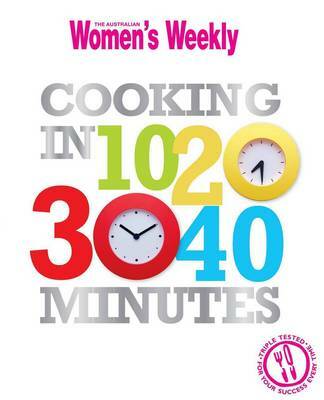 Now you can prepare delicious meals depending on how much time you have to spare, with the Women's Weekly Cooking in 10, 20, 30, 40 Minutes Recipe Book. The Women's Weekly Recipe Book has a range of recipes for the full meal range, ordered by preparation time. Make sure that your meals fit in the time you have to prepare them, with the recipes categorised by preparation time. Plus, with the full range from snacks, to mains, to desserts, you can plan a full meal to timed perfection. Each recipe is triple tested to ensure that they are as delicious and mouth-watering as they look on the page.